Irrespective if you are a single inventor, a small startup, university, or an established company, the patenting process can be long and difficult. The average time it takes to receive an issued patent from the U.S. Patent and Trademark Office after filing an application is 23.8 months, as of February 2019. See https://www.uspto.gov/dashboards/patents/main.dashxml. Even before filing a patent application, the question of whether and when to seek patent protection requires careful thought. It is no wonder that getting a granted patent is a cause for celebration, and one should. Still, a patentee’s work is not finished once the invention is protected. Just as important as obtaining the patent is making use of it. 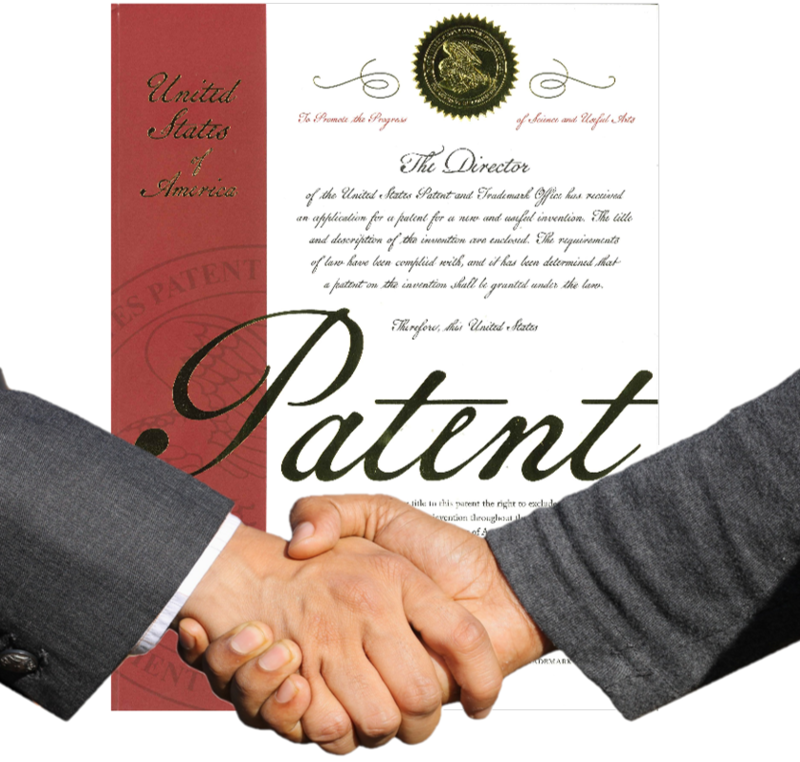 The patent can be used as an enforcement tool, preventing others from producing the patented technology. By periodically monitoring one’s technology space and the activities of competitors, the patentee may be alerted to infringing activity. At such time, legal action can be taken, in which the patentee may seek relief in the form of an injunction and monetary damages. In addition, the patentee may profit off the patented technology by commercializing a corresponding product. Apple is a well-known example of earning billions of dollars in revenue off the iPhone, which is covered by hundreds of utility and design patents. For a single inventor or even startups, this may not be an option since they may not have the financial capacity and production capability to scale up a product from a working prototype. However, this does not mean that getting a patent is worthless for single inventors and small startups. Other possible routes for making use of the patent include selling it outright or licensing the patented technology. The sale of a patent allows for an immediate financial payoff. This can be beneficial as it provides freedom for inventors to pursue their next idea. Money received from the sale can be put towards funding a new project. By selling the patent, the inventor can also avoid the expenses involved with enforcing patents against infringers. Alternatively, the patentee can license the patent, giving a third party the right to make, use, or sell the invention for a specified period of time. In return for the license, the patentee receives periodic royalty payments. This option gives the inventor the opportunity to maintain ownership of the patent and continue participation in future developments, while having another company bring the patented technology to market. Another benefit of licensing may include the assumption of liability by the licensee for product defects and mishaps. Under an exclusive license, the patentee agrees to grant the licensee certain rights to the patented technology and not to grant other licenses having the same rights. In contrast, the patentee may grant multiple non-exclusive licenses to different parties with the same right to make, use, or sell the technology. The approach of granting multiple non-exclusive licenses can help maximize the chances that the patent becomes a commercial success. A partially exclusive license gives the patentee the ability to limit a licensee’s rights to specified fields of use and/or geographic locations. As one example, the partially exclusive license may grant a licensee the right to use the patented technology for creating power distribution equipment but not for mobile devices. As a patentee, it is important to consider your future goals and expectations for the technology being patented and using those goals to decide how best to utilize your patent. This does not mean you must have potential buyers or licensees lined up before receiving a patent, but taking the time to think about your plans will go a long way in making effective use of the patent once it is in hand.